Happy New Year. 2018...can you believe it! Here is my first mani of the year, and I've actually remembered ahead of time to complete a prompt for the 26 Great Nail Art ideas challenge. The prompt is Metallic with one colour. I was going to burnish chrome powders into my nails, but in the end I decided to pull our my Born Pretty Store Mirror Polish, because since we got the chrome powders, the polish doesn't get any love anymore. 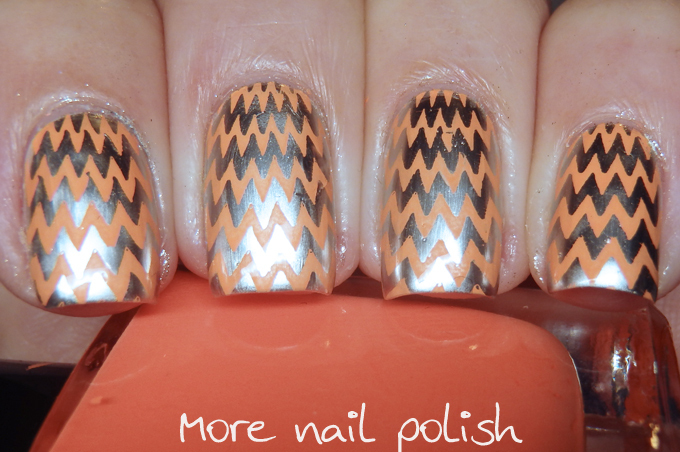 I also chose to stamp with a colour that I would usually never choose. Orange. I really wanted to go with green or blue, because generally I prefer cool toned shades, but I forced myself to step out of my usual comfort zone and got with this. 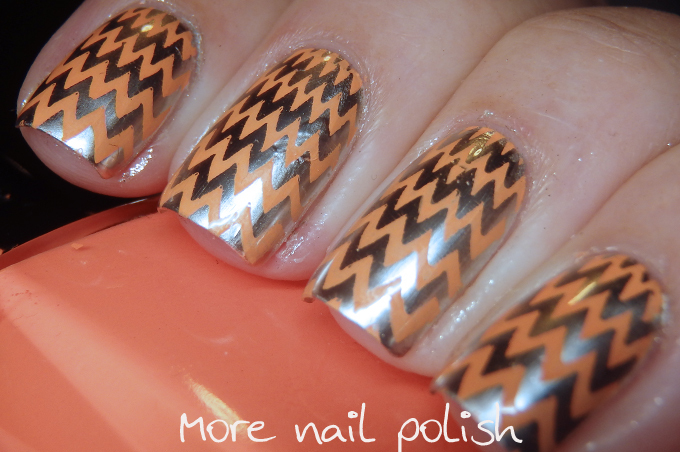 The stamping image is from plate KN-27, which I got from DRK nails. 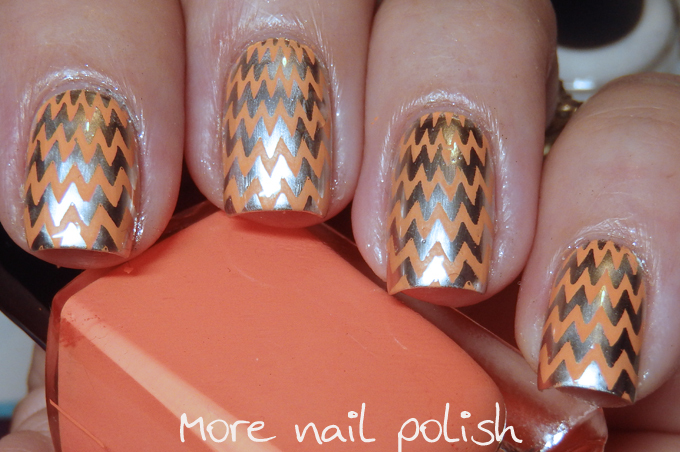 It's actually a slightly curved zigzag patter, bt I like how it looks like something you would create with nail vinyls.